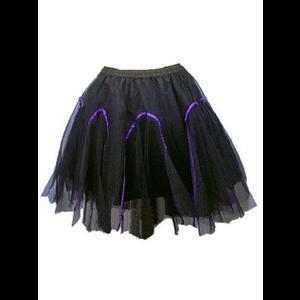 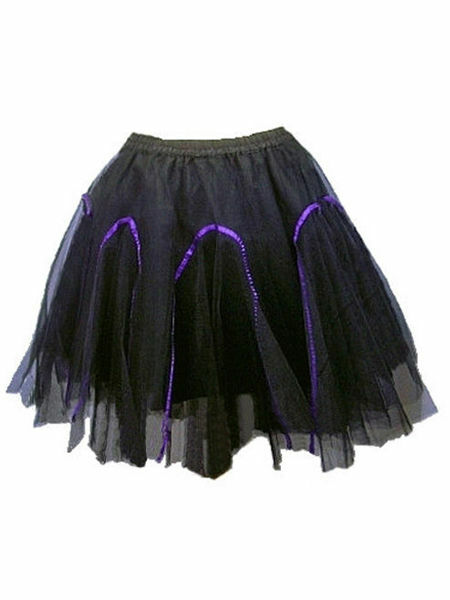 A full and frothy black gothic tutu skirt by Dark Star comprising of three layers. 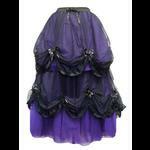 and finally the outermost layer of soft net decorated with purple satin ribbon. 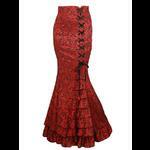 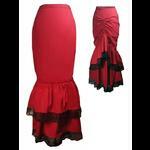 The skirt comes to approximately knee length and has an elasticated waistband.